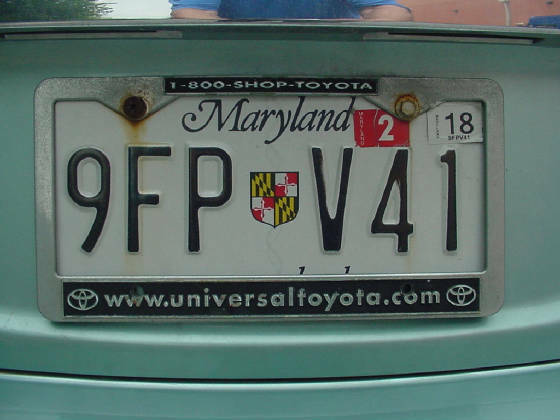 In the State of Maryland we are required to put the validation sticker / year sticker, renewal sticker on the rear plate only in the upper right corner. The month sticker in the upper left corner. Instructions are on the card that the stickers come on. 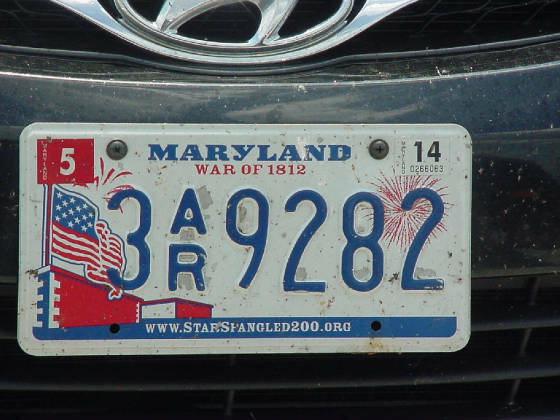 Unlike California and Virginia that actually have a lightly colored box with "month" and "year" Maryland plates have nothing because the front plate does not have stickers. 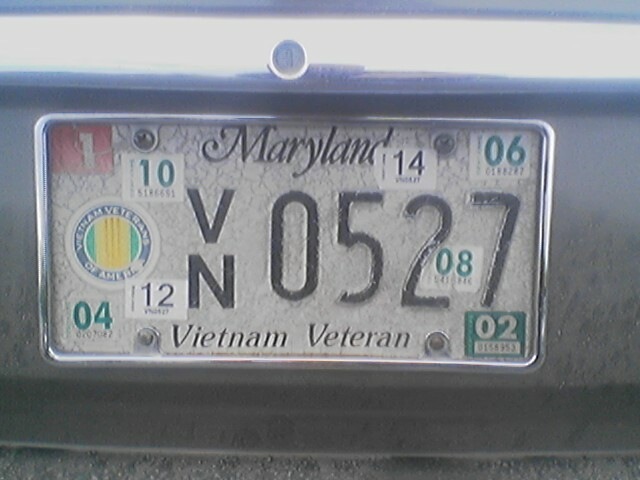 Washington DC, New York and New Jersey have the validation stickers on the inside of the windshield. 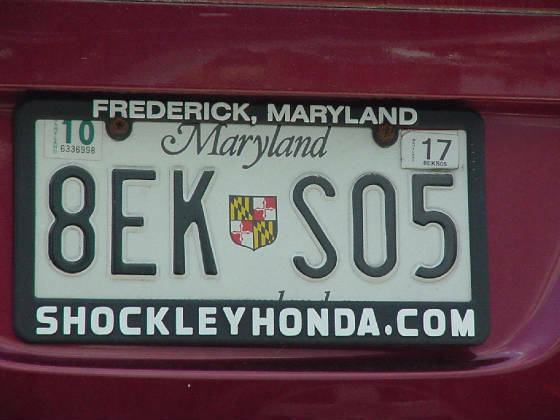 This validates the "car" not the plate. 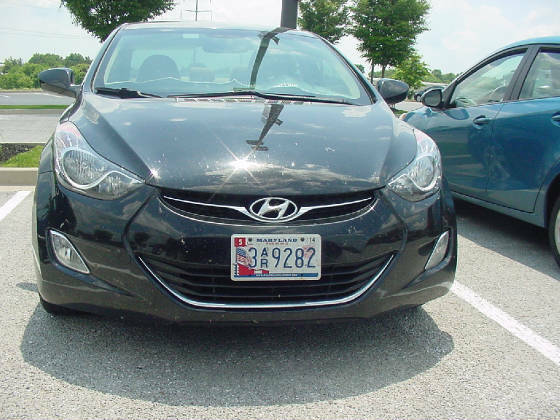 If you have many years of stickers on your plate, you may want to remove them before placing the new sticker on the plate. It is very easy to remove this stack of stickers since the security scoring is overlapping, making them easy to peal off without tearing them. So why do you see so many people with the sticker in the wrong place? 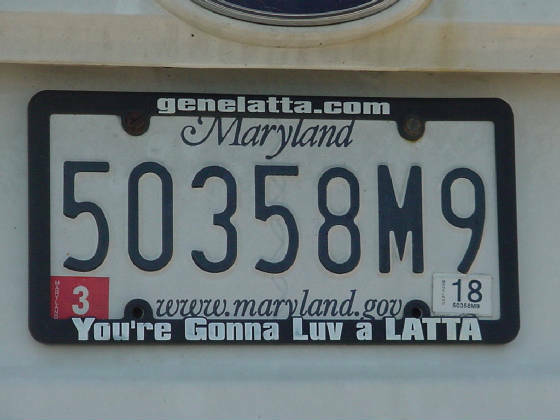 Place in the center so someone does not cut it off the corner to use on their plate, wrong, easy to spot that and most now come with the plate number ON the sticker. 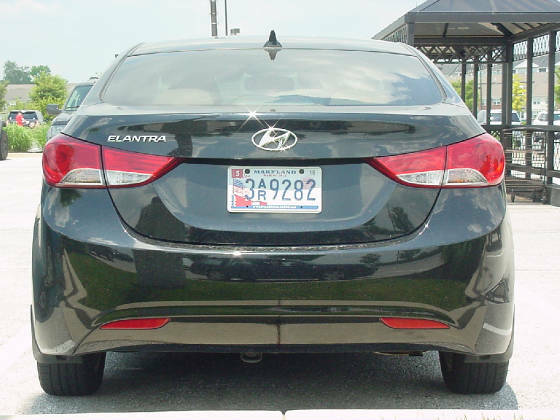 Law enforcement now optically scans plates with the police cruiser in motion and your car stationary or in motion. 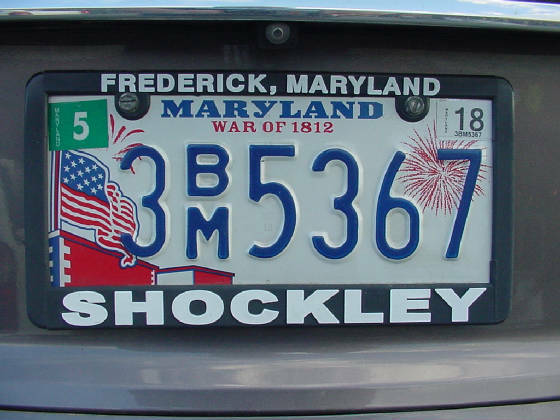 Any officer can spot a sticker that is wrong or out of date when they are right behind you. 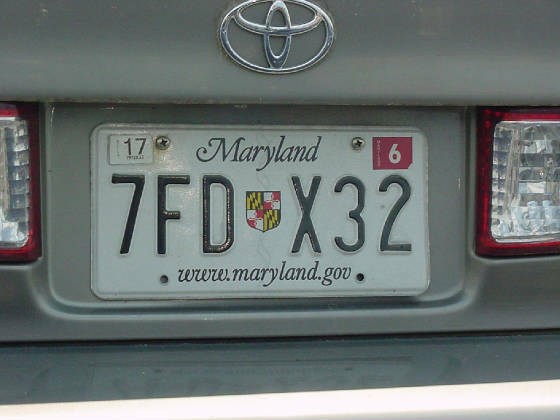 You don't need valid registration or a valid drivers license to drive a car. You only need it if you are stopped by a police officer! 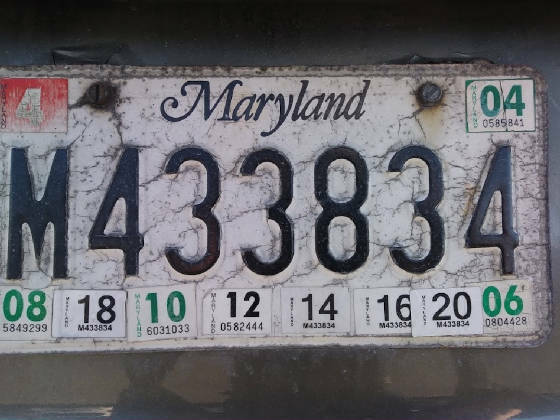 Maryland will give you a month sticker for FREE, but if you put the year sticker in the wrong place, it will cost you $10 for a replacement sticker. 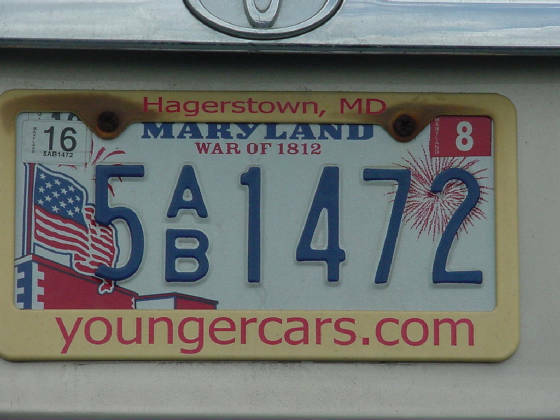 A new registration card will cost you $5. 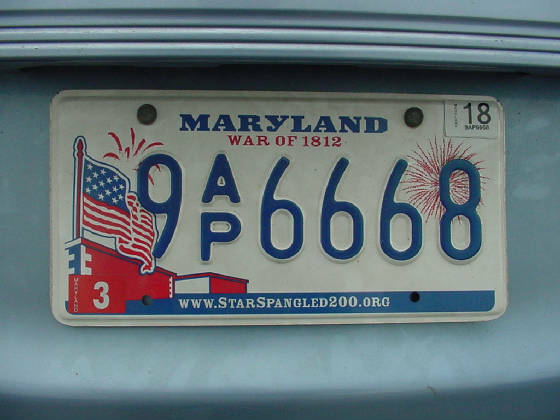 Improper placement started way back in the 1980's when Maryland did not have month stickers and the plates all renewed in March. 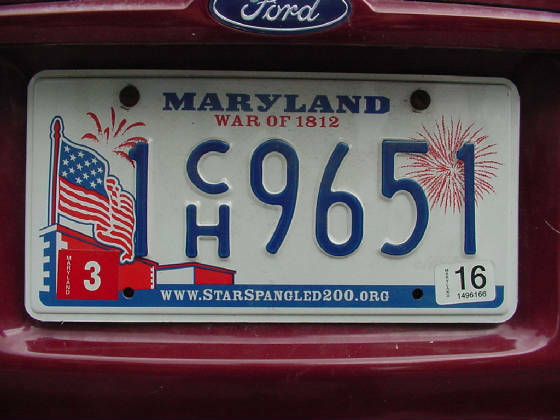 You were told not to put the sticker on untill March, but if you received your stickers in February, you would put it on the plate in a different position, so last years sticker would not be covered, this led to years of that practice with stickers all over the plate. It no longer applies but some old codgers still do it. Is that month 13 ? and are those green month stickers under both year stickers? Again, month 15? and you can see the red month sicker behind it! 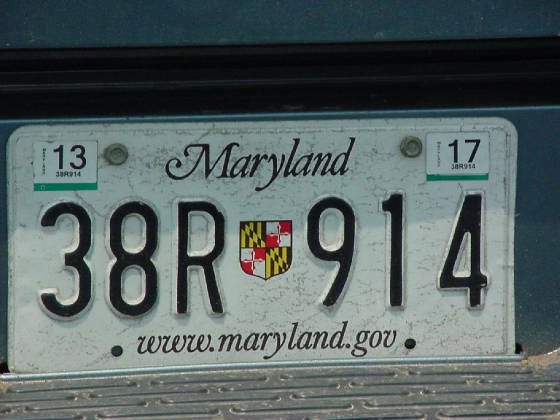 There is a fee for substitute license plates. 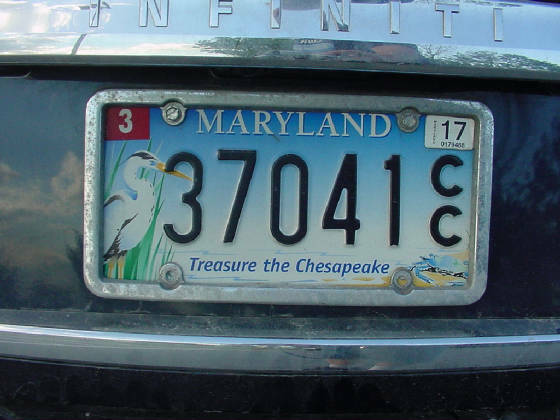 There is an additional fee if the requested substitute plates are Chesapeake Bay or Agriculture license plates. There is a fee for substitute stickers. There is a fee for each additional or duplicate registration card. 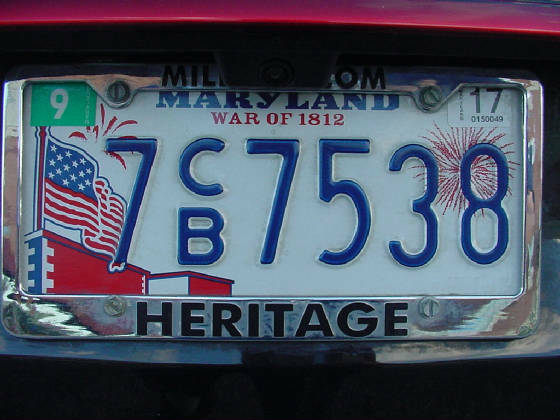 There is no fee for replacement registration month stickers only.